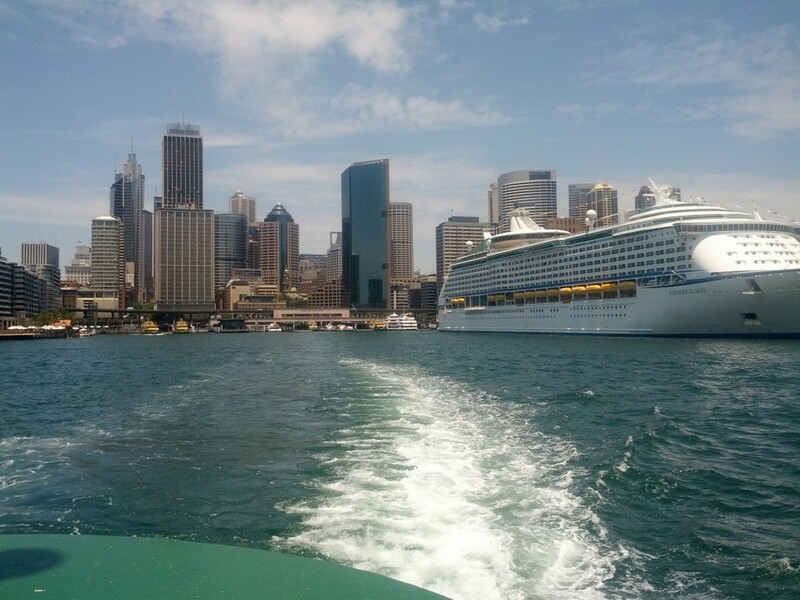 This post is a collection of various pictures from around Sydney Harbour that I’ve been collecting as I’ve been here.In my opinion, the waterfront is the best feature of Sydney – the city isn’t wildly exciting to me, it’s a somewhat generic large city, however the waterfront adds some uniqueness and difference to it and there’s always something different taking place on the water. 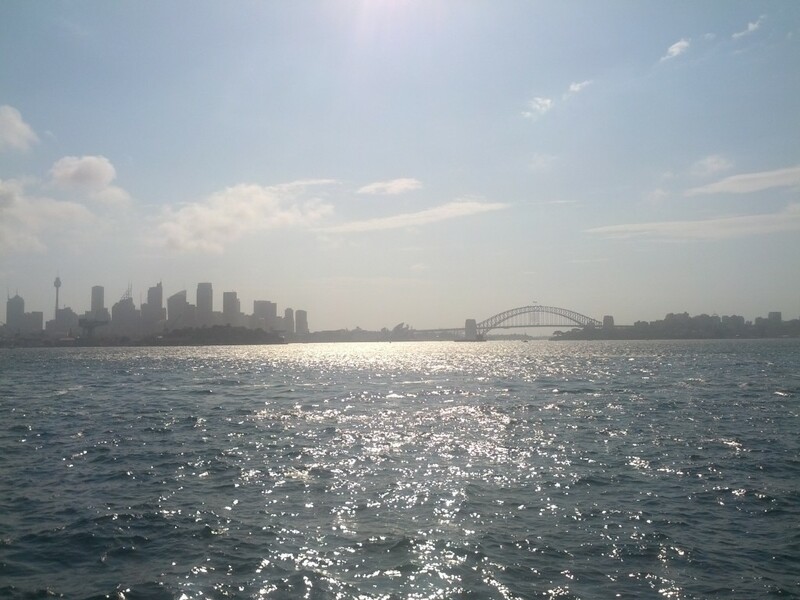 Sydney CBD and bridge in the hazy distance. 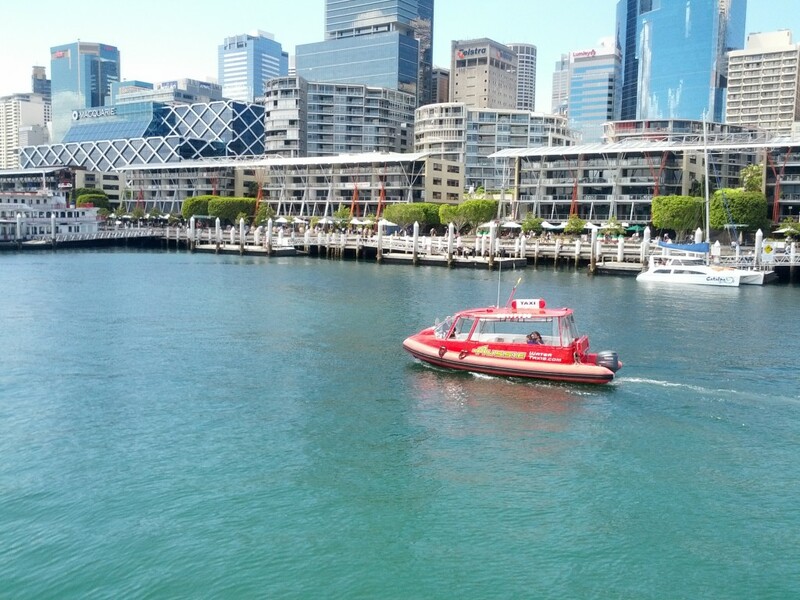 A water ferry cruises through Darling Harbour, near the maritime museum. 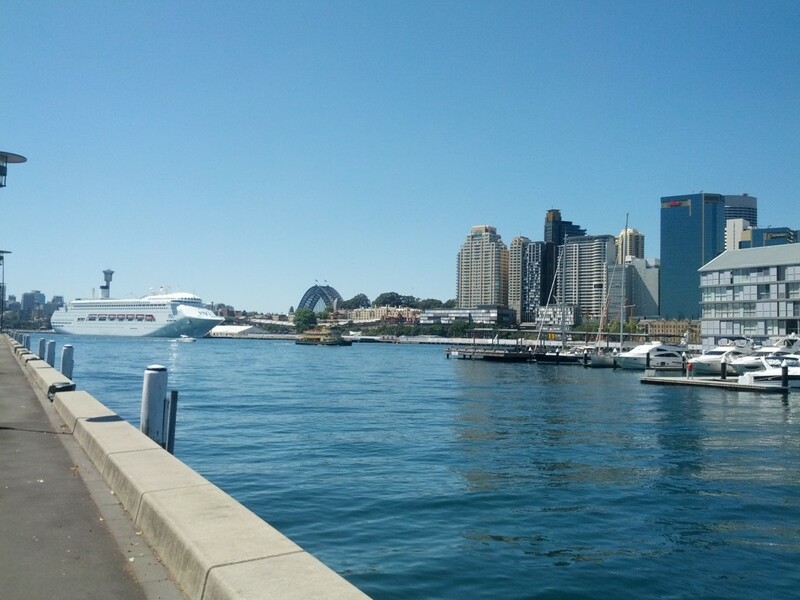 View out from Pyrmont towards the Harbour Bridge. 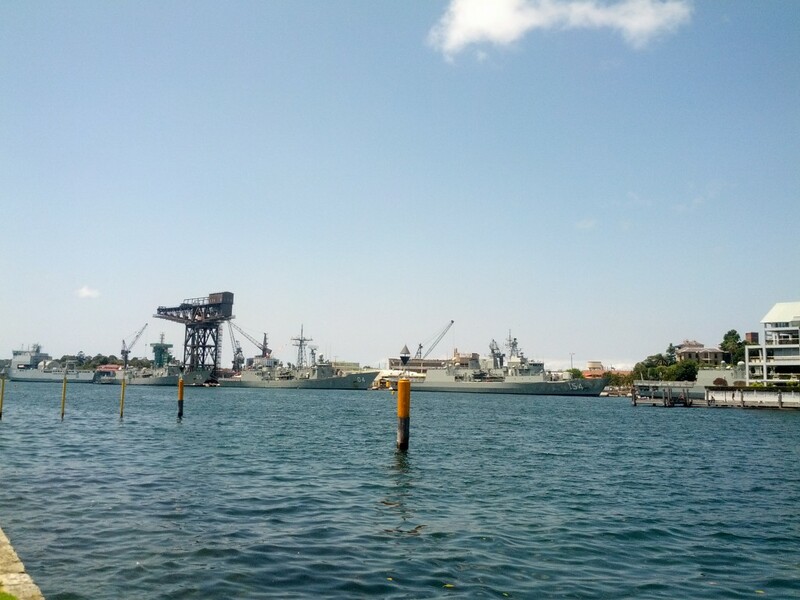 Royal Australian Navy’s primary dock – I really want to find out what they use that massively bulky crane to lift – tanks maybe? 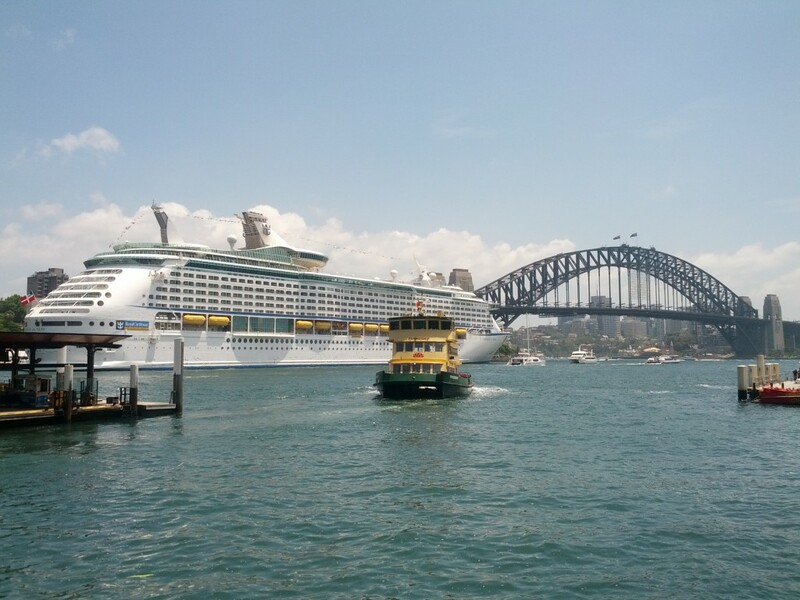 One of the smaller ferries comes in to dock at Circular Quay. 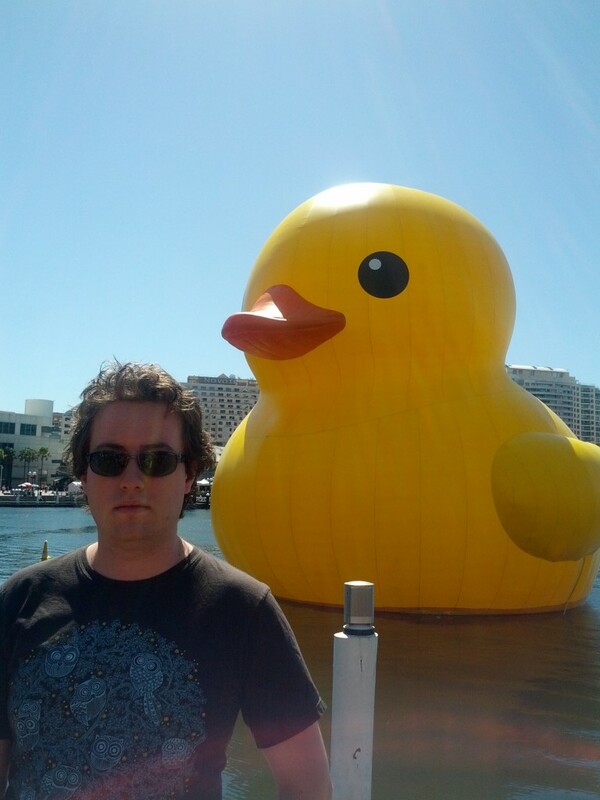 Bow before Lord Carr and his mighty duck army! 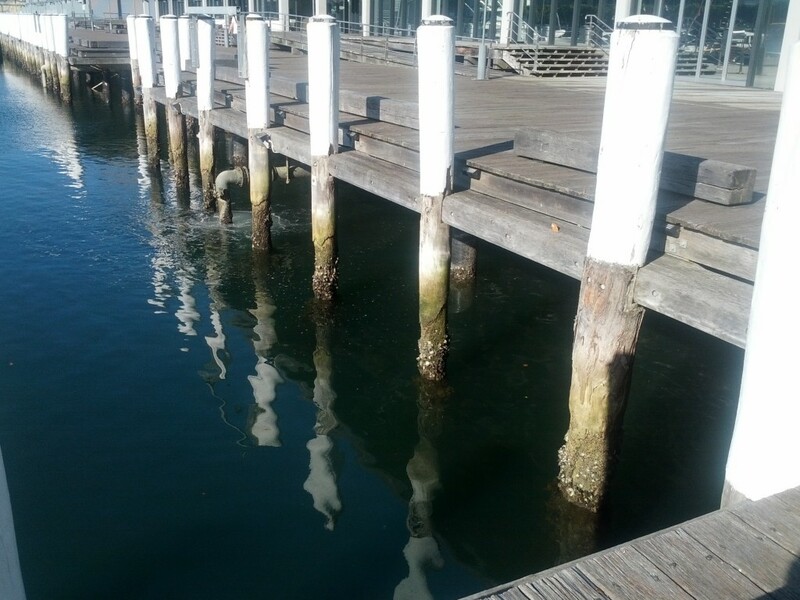 Mysterious discharge from a mysterious pipe slung under a pier. 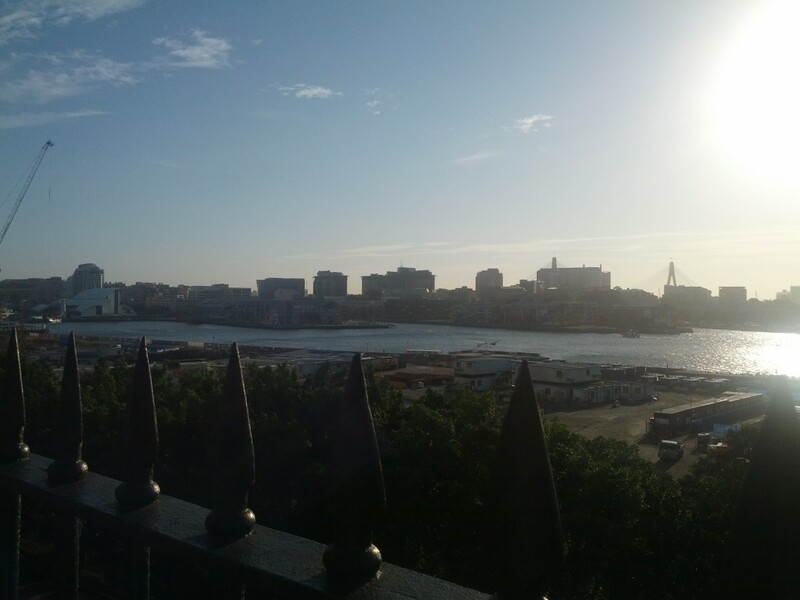 Looking out towards Pyrmont as the sun sets. 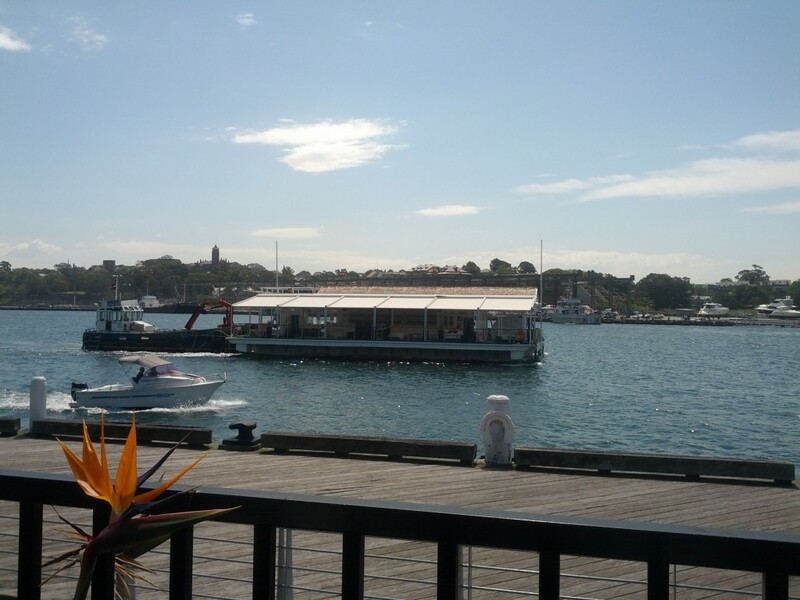 This entry was posted in Uncategorized and tagged barge, darling harbour, duckie, ferry, harbour, pyrmont, sydney, Uncategorized, waterfront. Bookmark the permalink. One of my colleagues identified the crane for me – it’s one of only a few Hammerhead Cranes still intact, capable of lifting 250 tonnes!